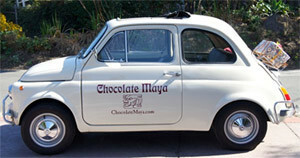 Visit or contact Chocolate Maya for more information about private tastings and other events. FREE delivery is available in Santa Barbara. (minimum required) Zip codes 93101, 93103, 93105, 93108, 93110.